Hollywood has often taken the lead for picturing the ceaseless and ever hostility that set up the tie of dogs to cats. Not this time, three gorgeous Siberian Huskies and a cat called Rosie turn the table over movies’ scripts and over all ‘the struggle of the fittest’ theories. The story goes back few months ago, when the three brave and kind Siberian Huskies, Lilo, Infinity, and Miko saved the three-week-old kitten, Rosie, neglected in the streets of California to face her destiny alone. Rosie was picked up from unfriendly environment of cold and starving to find herself warm at home and surrounded by a kind Husky family that accepted and enjoined her in the group despite her different belonging. 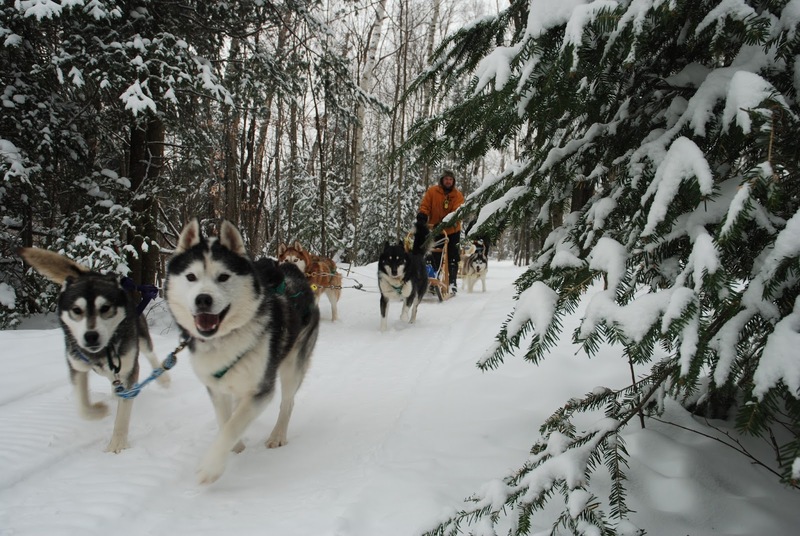 The three Huskies are owned by sisters Thoa, Thi and Tram Bui and one of their cousins. The sisters decided to bring the little kitten home and take care of it. At first the cat look healthy but few days later everything turned drastically. The new owners didn’t need much time to figure it out. Rosie, the name given to then little kitten, was needy of a mother or to one that can play this role. So the sisters made their mind and paired Rosie with their Husky, Lilo. Lilo turns out to be the perfect a mother for a cat that is being brought up as a dog. The new mother along with the other Husky pack members weirdly took to Rosie who they adopt as one of their species. What makes this much more amazing and unexpected is the fact that Lilo has got no pups and was sprayed a week before we found Rosie. Rosie is quickly and easily getting to doghood life and behaviors. She plays with the other Huskies their own way, steal their food the same way Lilo does when none of their owners is watching. Rosie also goes the walk-out with the pack and tries to keep pace though the challenge is beyond her little legs’ capacity. 'She's so tiny but she tries to keep up with the other huskies, bless her - she runs after them when they play, she wrestles with her mother Lilo, and walks with the pack when her little legs can manage’, Bui says. The relation between Rosie and Lilo is growing crazily amorous. Lilo’s presence gives Rosie needed passion, confidence and the sense of safety. Even when it comes to acts that are beyond cat species ability to afford, Rosie can boldly take part provided that Lilo is there. 'We go on a lot of road trips, and we recent took Rosie kayaking and paddle-boating with us…She's not afraid at all, and as long as Lilo is there, she knows everything is going to be OK , ' Bui told ABC. Rosie and Lilo are now inseparable. Once the owners tried to separate them for a while to give Rosie a break while they were play fighting. 'Lilo doesn't know she's so big, she can hurt Rosie without realizing it. They hate it though - Lilo lays by the door where Rosie is, and Rosie lies on the other side and they both whine and cry like Romeo and Juliet,' adds Bui. Rosie and Lilo have become social media stars. Their followers in Instagram (https://www.instagram.com/lilothehusky/) reach 379,000, and the number is in a constant rise. The three Huskies and Rosie enjoy a constant media coverage and the sisters who own them set a facebook live coverage for their activities and trips they take them to.